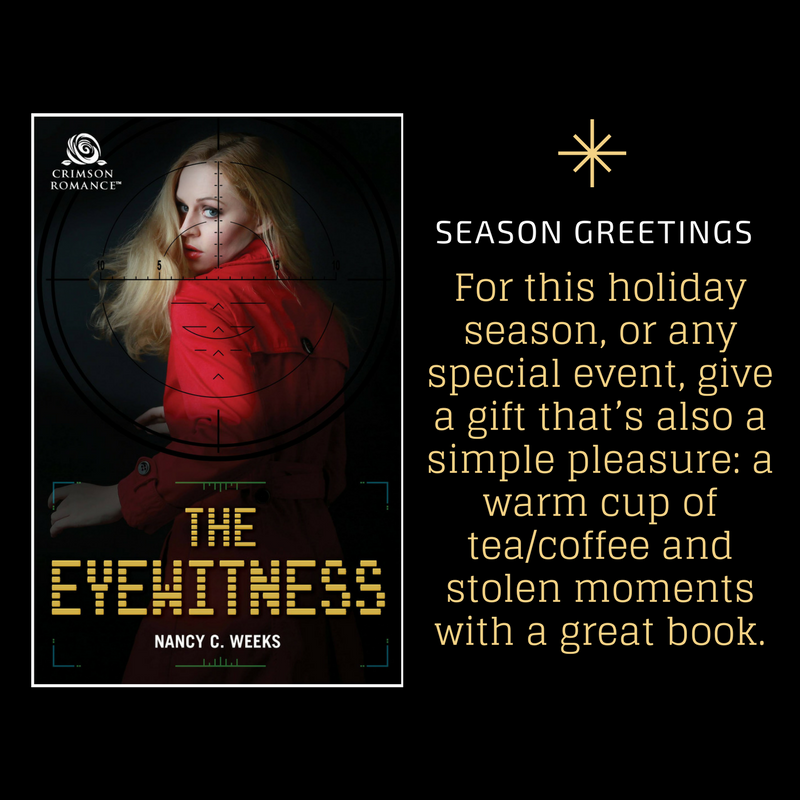 NANCY C. WEEKS - ROMANTIC SUSPENSE AUTHOR: NANCY C. WEEKS HOLIDAY GIFT PACKAGE--SHORT TIME ONLY! NANCY C. WEEKS HOLIDAY GIFT PACKAGE--SHORT TIME ONLY! This year, I'm excited to announce Nancy's Holiday Gift Package for my readers. Nancy's Holiday Gift Package includes a personalized autograph copy of The Eyewitness OR any book I have in stock with a $5 Starbucks gift card to someone on your gift list for only $20. If you want your order to be delivered before Christmas, I must have the order form no later than December 15th. Click on the green box before and it will take you to the order form and instructions. *Since shipping cost are so high, this offer is valid within the United States only. *While supply last. Order today!